Good design speaks its own language: a language shaped by distinctive brands and by products with unique aesthetics, functionality and sustainability. What’s needed, from the very first idea to establishing a brand or product in the marketplace, is a great deal of dedication, courage and conviction – and the right partner. We at welcome design are fluent in this special language and we are able to communicate it with a great deal of passion, thanks to longstanding experience in strategic PR, in developing and implementing tailored communication concepts and in providing consultancy services to establish both brands and new products in the areas of design and architecture. Welcome design specialises in strategic PR in the areas of design and architecture. We offer the complete service package, comprising development and implementation of PR and marketing strategies, targeting of individual and influential journalists and opinion shapers, management and implementation of press events, looking after media representatives at trade fairs and other events, media monitoring, inclusion of modern communication channels and maintenance of online press sections. 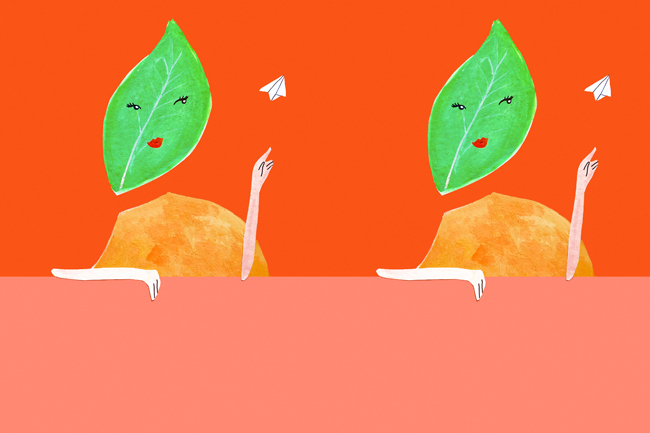 At the core of every successful – and hence goal-directed – corporate communication is a tailored PR and communication concept where every detail has been considered carefully. In close cooperation with our clients, we develop individual and convincing communication concepts, starting with the first briefing, to researching and analysing the specific market, to defining target groups and communication goals and to planning and implementing measures. With our longstanding experience and specialist knowledge, we support our clients in concept development, in the production of catalogues or publications on design or architecture-related themes and in creating copy for marketing and press communication. April 1, 2019. Siete invitati! Kristalia at Salone del Mobile Milano 2019..
Accogliente, all'interno e all'esterno: At this year's Salone del Mobile.Milano, Kristalia is consistently developing its trend-setting appearance from last year and placing its new products in a homely environment that combines indoors and outdoors. The focus of the production is on the growth of the Dua family. 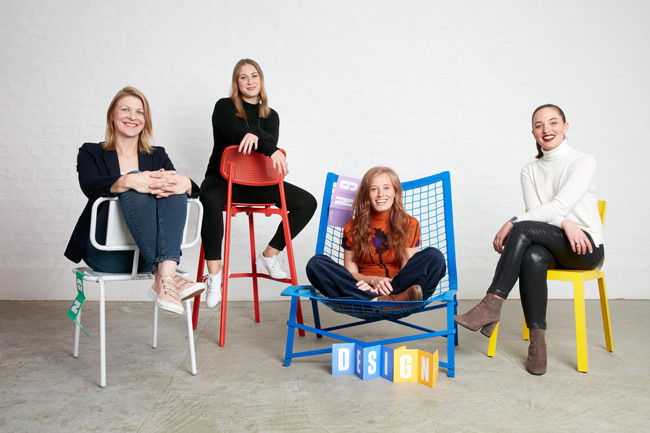 The chair from the pen of the German designer duo Läufer + Keichel, which was presented last year, will in future be available with three different backrests. 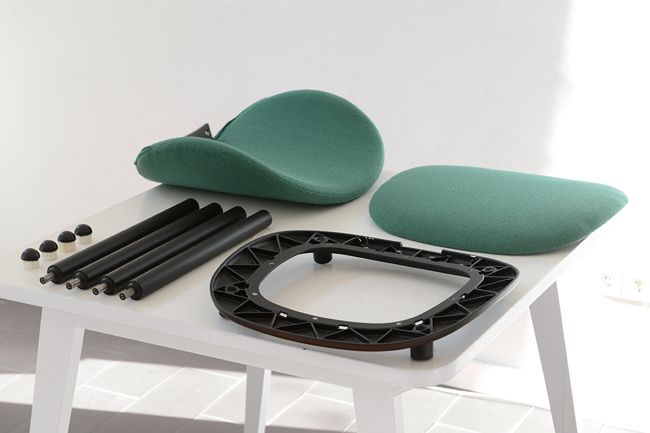 The classic chair backrest and a soft backrest that embraces the seated person will be complemented by a backrest that gently merges into lateral armrests. Kristalia invites you to a relaxed get-together at the BSPK shop in the heart of Milan on Wednesday, 10 April 2019 from 8 pm. 26 March 2019. 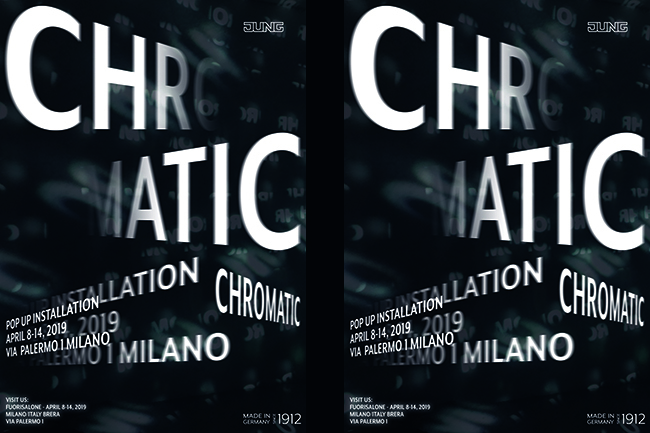 C H R O M A T I C: JUNG invites to visit its installation in Milan. chrome spirits appropriate the space, letters flash up to the rhythm of electronic sounds and bass beats: Black soundscape. Touch. Hissing breath, melting silver hail, pulsating fog. Everything is possible. Nothing happens without us. Come in, you are cordially invited! 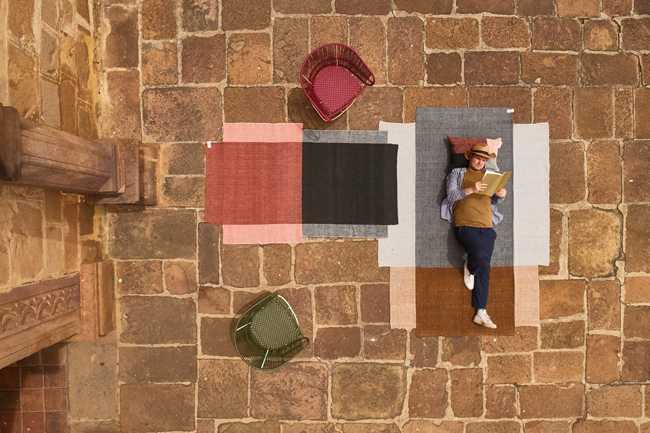 C H R O M A T I C is the title of JUNG exhibition at Milan Design Week 2019. 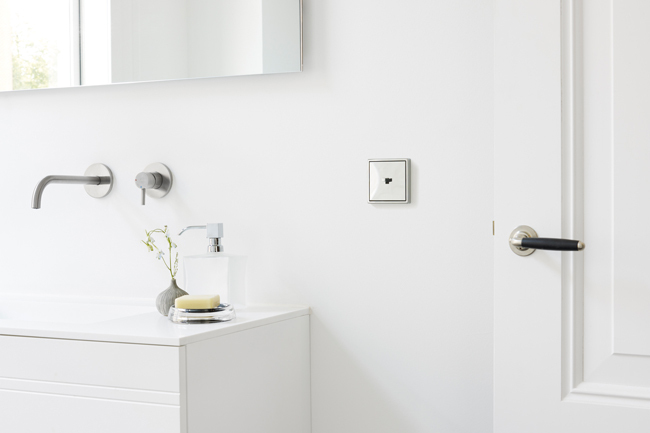 The complexity of the installation intertwines the architectural power of the iconic JUNG switches with the lightness of a multi-faceted sense of life. The artistic spatial experiment providing a stage for the innovative drive of JUNG, manufacturer of future-proof building technology and aesthetic design. 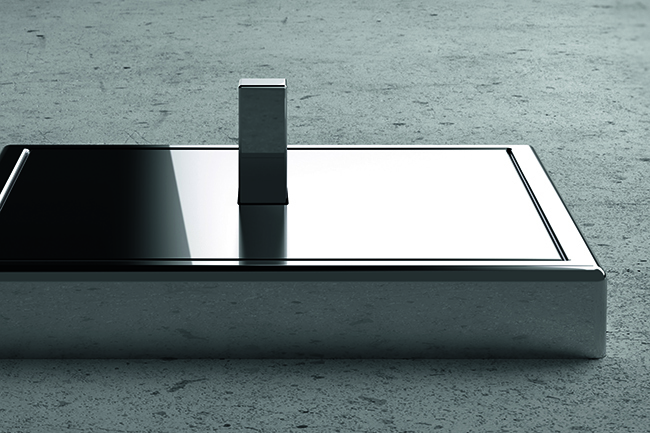 A stage that blends purism and chrome with the subtlety of the Le Corbusier colour universe. The temporary installation conceived by design studio raumkontor Düsseldorf, supported by Oskar Zieta, develops through the rooms of a ballet school located in the heart of the Brera design district. 25 March 2019. mimicri celebrates its DEBUT. mimicri proudly presents its first collection: mimicri DEBUT. Four different types of bags, three fashion pieces and one accessory. 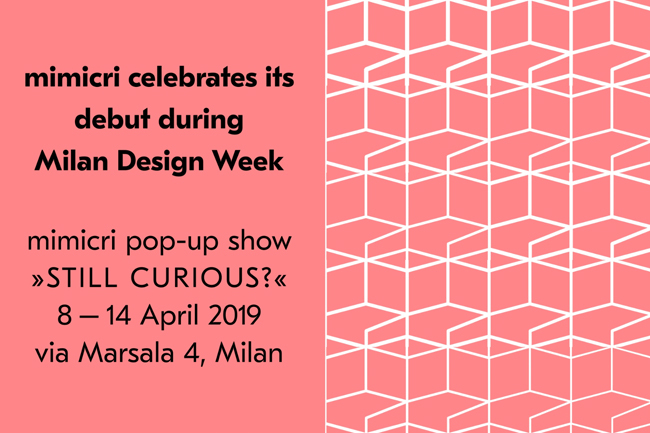 Staged in the Brera design district on the occasion of Milan Design Week 2019. Innovative everyday companions for her and him. For at home and away. March 25, 2019. Ciao Milano! 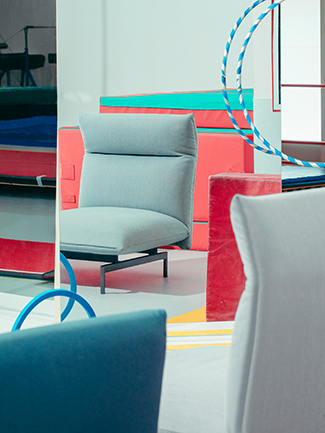 Leolux at Salone del Mobile.Milano 2019. 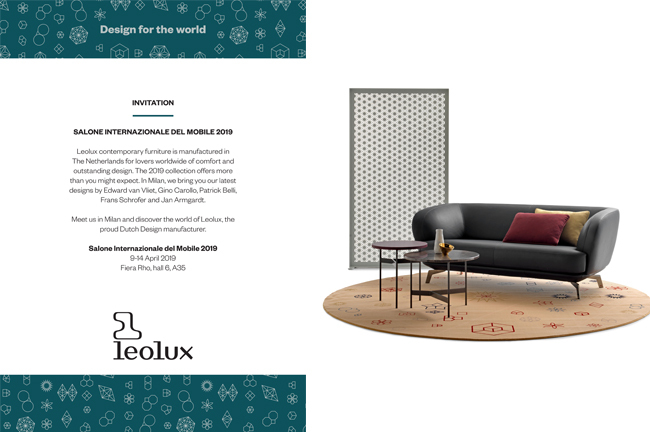 From 9 to 14 April 2019, Leolux will present its new collection at the i Saloni in Milan and cordially invites you for a visit at the usual location - Hall 6, Stand A35. The focus at the Milan stand will be on the new sofa range Flint by Beck Design: the organic forms of the seat and armrests create an inviting appearance and embrace the user. 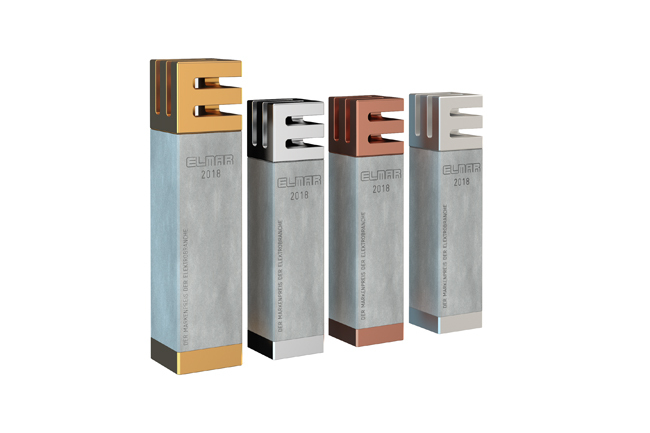 The numerous elements make both generous and compact solutions possible. 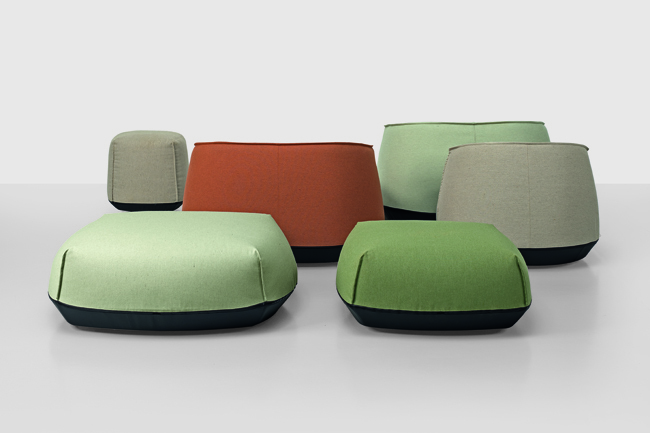 Leolux detaches the sofa from the wall, shows unconventional variations and a wide range of colours and materials. 8 January 2019. 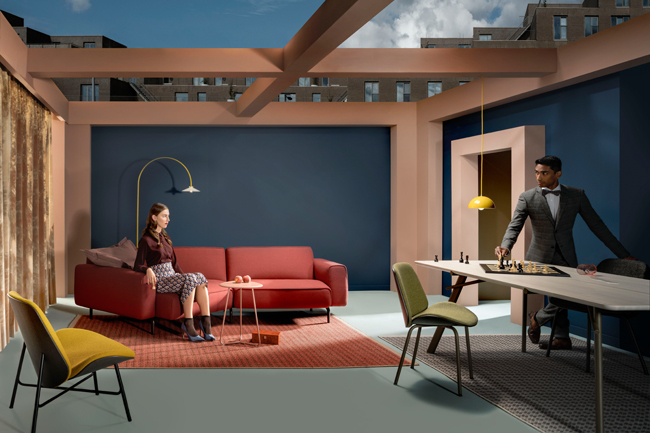 Typically Leolux – With fine materials and balanced colour combinations at IMM Cologne 2019. 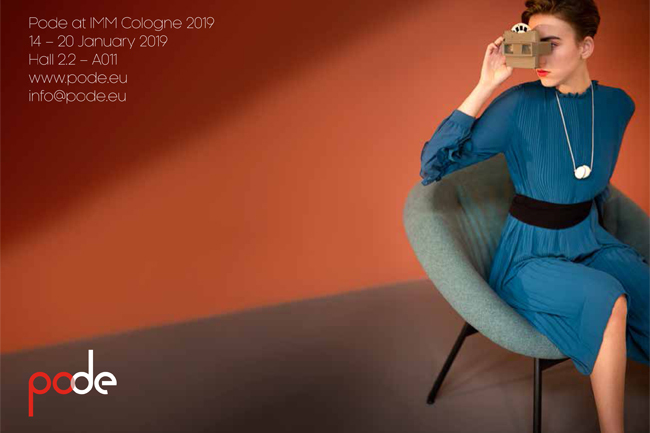 From 14 to 20 January, Leolux will be presenting new models for stylish furnishings and self-confident people at IMM Cologne 2019. Leolux cordially invites you to visit its exhibition stand and is looking forward to welcoming visitors at its usual location in hall 11.2 (stand H031). 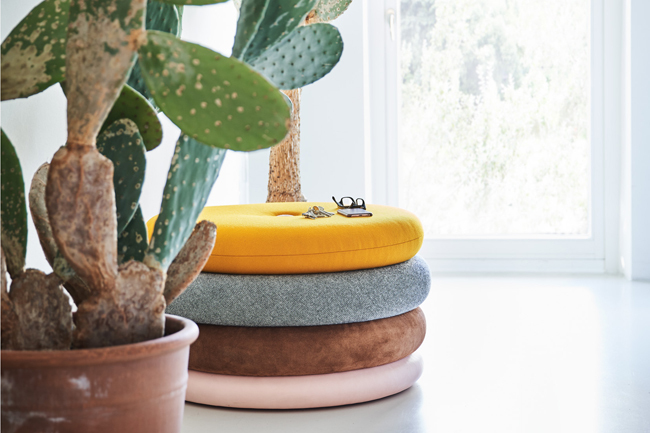 The stand was co-designed by Edward van Vliet and is once again typically Leolux: fine materials meet balanced colour combinations – without neglecting the high level of comfort. 2019 in focus: Flint sofa. 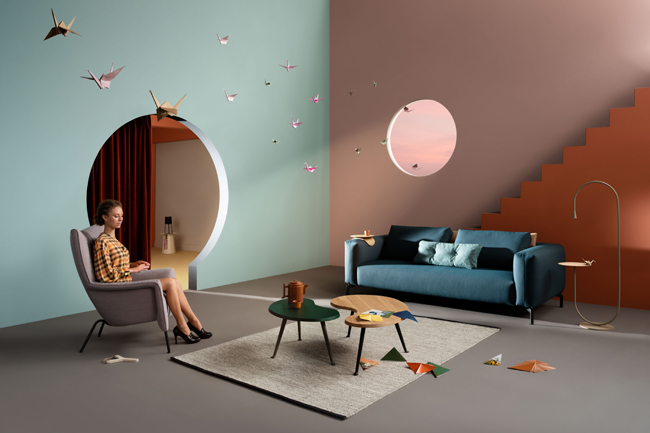 From the compact sofa to the inviting living landscape – with the versatile furniture line from Beck Design, Leolux is addressing a new generation. 08 January 2019. Jung staging during Passagen 2019 at casaceramica. Many manufacturers and design studios will be inviting visitors to their Passagen exhibitions during the IMM Cologne 2019 week – and so will Jung. 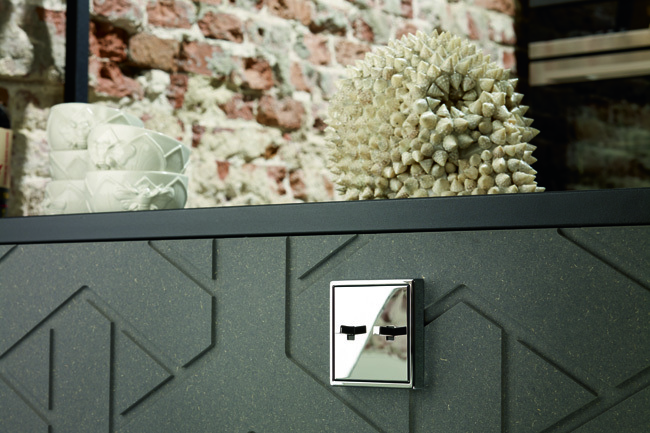 From 14 to 20 January 2019, Jung will be celebrating its new partnership with casaceramica: with the title LS 1912 – a Jung Tribute, the new stylish LS 1912 toggle switch will be presented in a special showcase as part of the exhibition of high-end surfaces at casaceramica’s Cologne-based showroom. 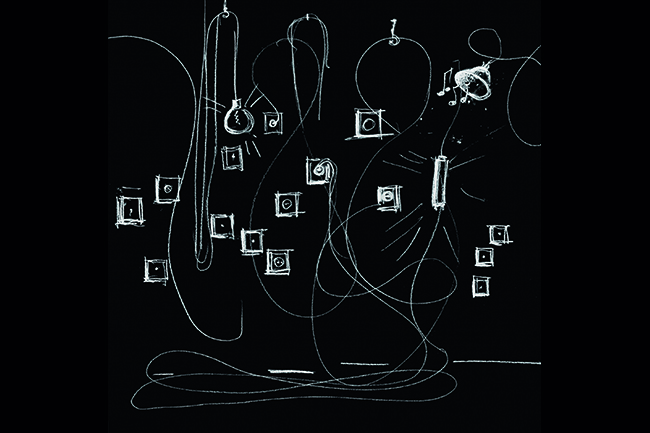 A new toggle switch as a tribute to the history of Jung – that was the idea. 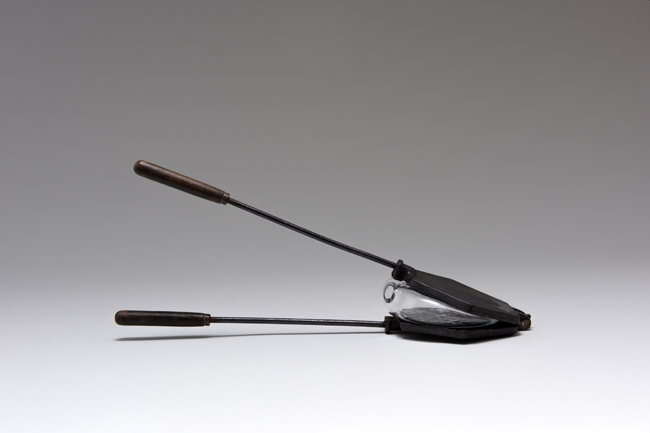 The result is the LS 1912, a switch that provides a special tactile and acoustic experience and that carries the company’s foundation year in its name. The LS 1912 references both historical switch technology and Jung’s know-how in metal processing while combining these qualities with today’s requirements and technological possibilities. casaceramica and Jung would like to invite you to join them for a cocktail reception on Thursday, 17 January. Drop by, we’re looking forward to welcoming you! Advance registration via welcome@welcomedesign-pr.com would be appreciated. 8 January 2019. Unconventional Lifestyle - Pode at IMM Cologne 2019. 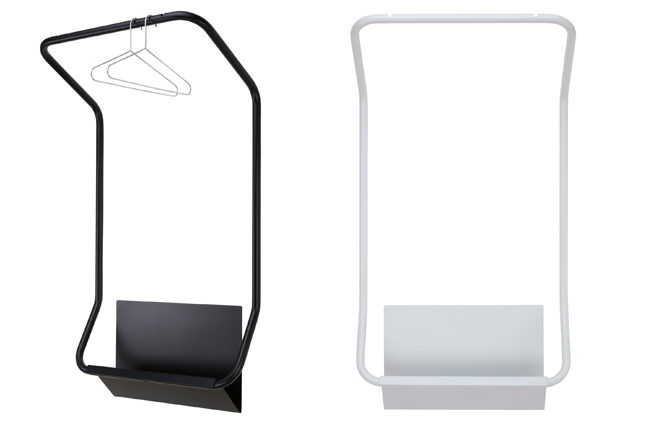 Pode, the young brand of the Dutch family company Leolux, entered the international market two years ago. Under the creative direction of Studio Vos, Pode has since then presented itself as a fresh, unconventional »lifestyle brand«. 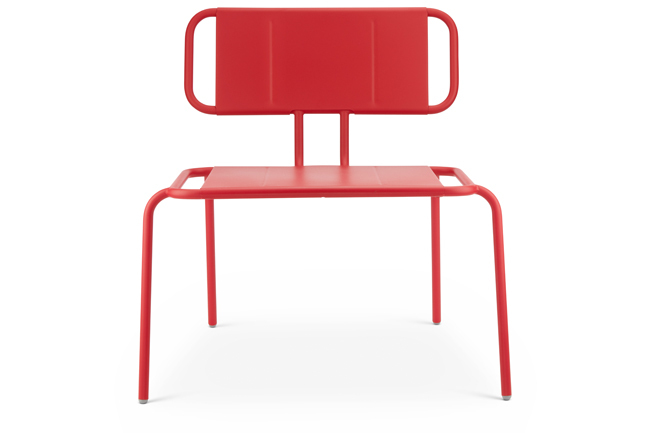 On the occasion of the forthcoming IMM Cologne, Pode will once again surprise with extraordinary new products. 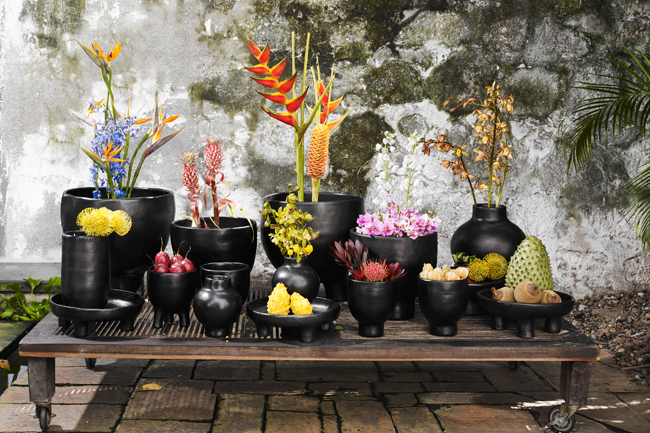 The unusual exhibition stand, designed with attention to detail by Claire and Roderick Vos, offers a complete overview of the Pode collection, including numerous novelties. 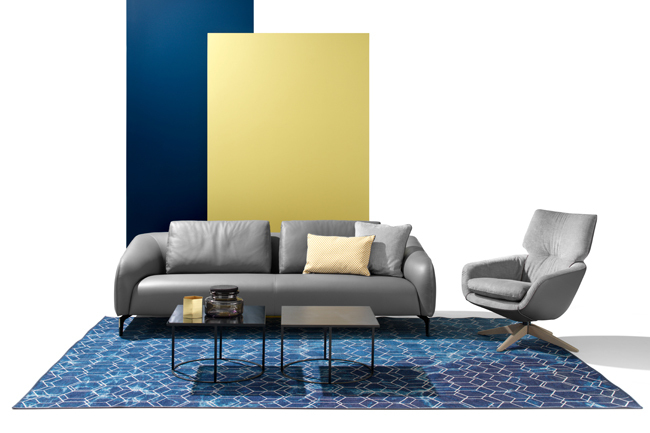 At IMM Cologne 2019, Pode will present new furniture, elegant carpets and cushions, new designs for the lighting collection and special accessories. 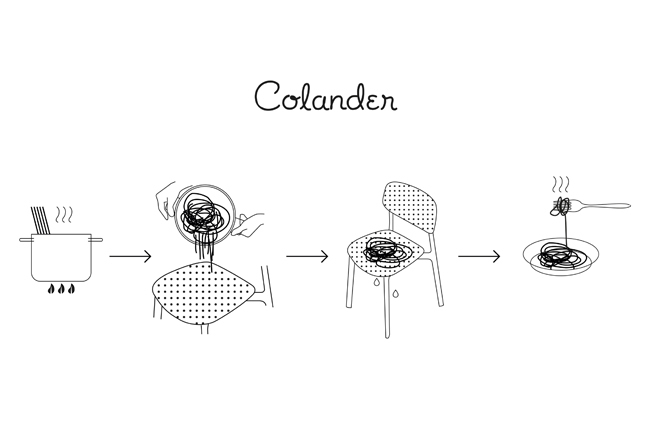 The Dutch company works consistently with an international group of designers. The German design duo Formstelle is responsible for the new Tibia chair, Dutch designer Thijs Smeets designed the Spot swivel chair and German designer Pascal Bosetti designed Ziggy, the most comprehensive sofa range in the Pode collection. 7 January 2019. 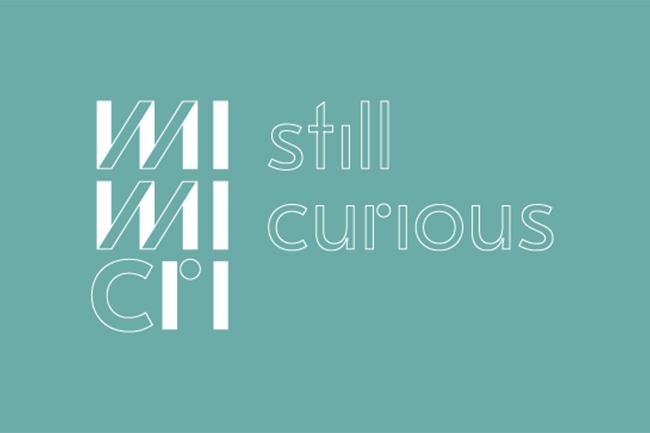 Kristalia invites to the Design Post on the occasion of IMM Cologne 2019. 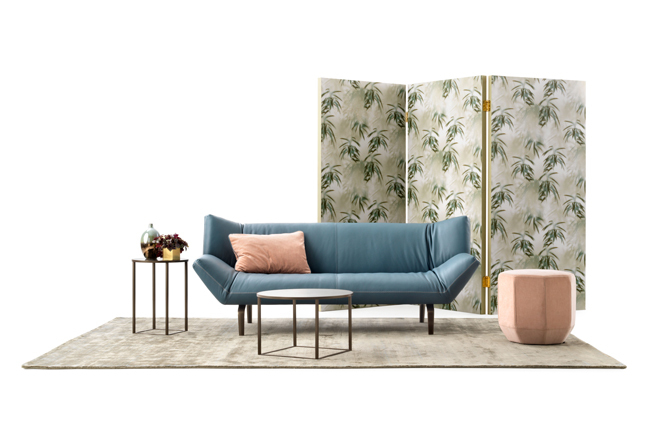 At the Salone del Mobile.Milano 2018, Kristalia presented itself in a new style: homely, pure and with a focus on soft materials - the furniture manufacturer from Northern Italy creates casual, elegant living worlds that combine outside and inside. 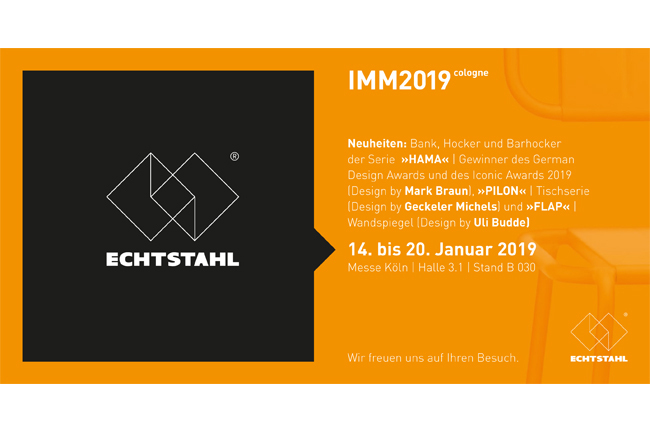 On the occasion of IMM Cologne 2019, Kristalia will transfer the staging to its permanent exhibition in the Design Post and cordially invites you to a visit. 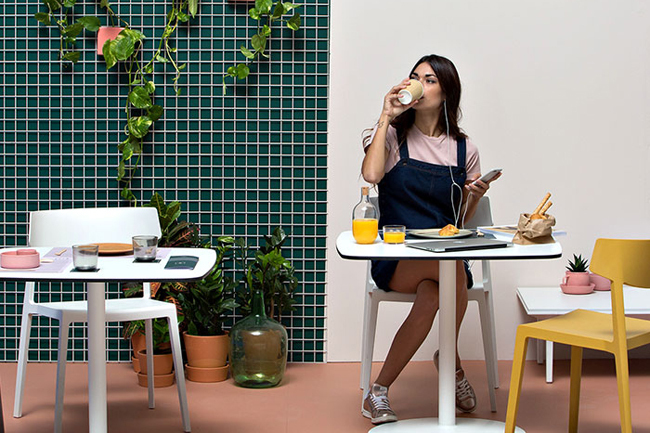 As a new product, the dua chair will be the focal point at IMM Cologne 2019. 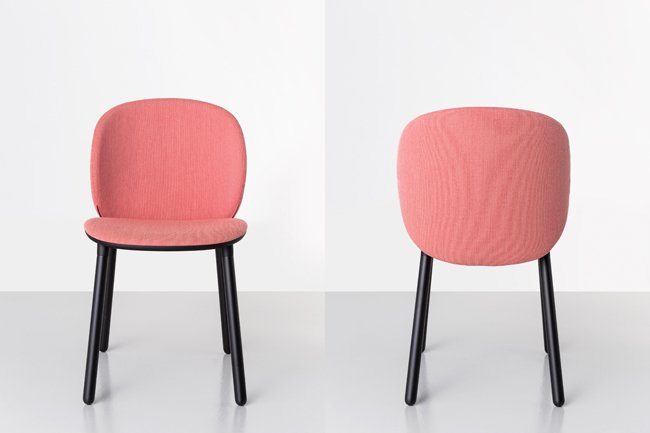 The chair (design: Läufer + Keichel), has soft and inviting lines and bears the number Two not only in its name: It also describes the two elliptical surfaces that form the seat and backrest. 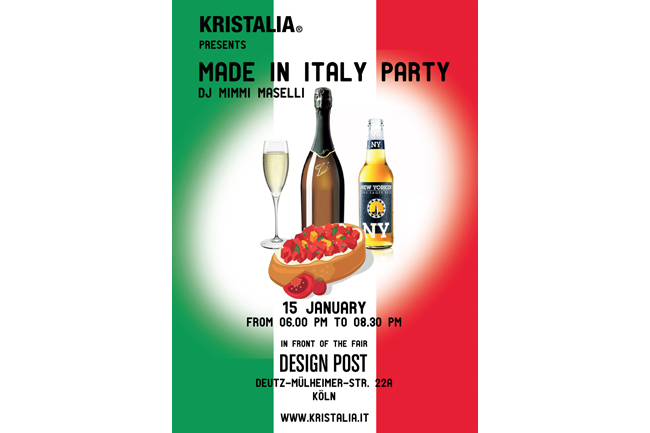 »Made in Italy« is this year's motto of the much-loved Kristalia Party at the Cologne Furniture Fair. On Tuesday, 15 January 2019, Dj Mimmi Maselli will play contemporary Italian music from 6 p.m. onwards. Kristalia serves snacks from his homeland. 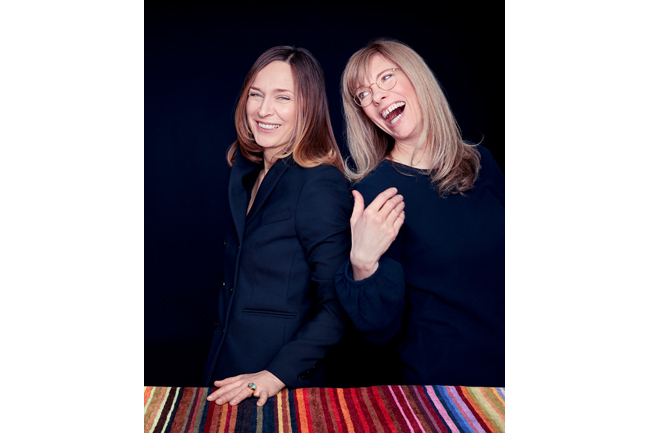 Highlight: The designer duo Läufer + Keichel will be present at the party and ready to answer any questions. We will be present for the preview and look forward to a »pre-meeting«. 7 Januray 2019. 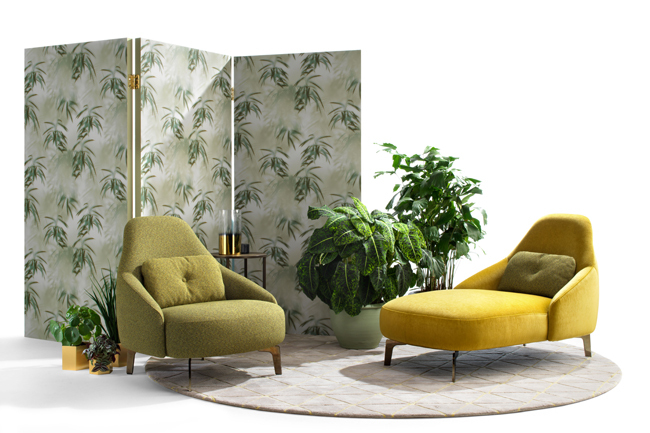 Richard Lampert to showcase re-editions of Herbert Hirche furniture at IMM Cologne 2019. After Eiermann, now comes Hirche: as a tribute to Egon Eiermann, his legendary table frame was the focus of Richard Lampert’s exhibition at IMM Cologne 2018. 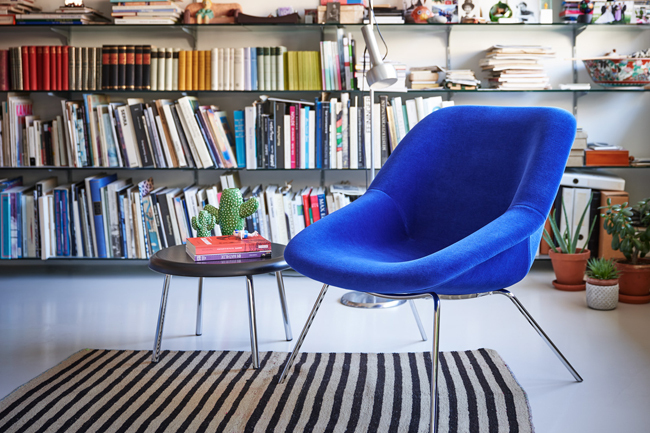 This year, at the 2019 Cologne furniture fair, designer Alexander Seifried will be staging the re-edition of Hirche’s DHS 10 shelf for Richard Lampert, and anyone who needs a rest can sit down in a reproduction of Hirche’s 350 Chair. 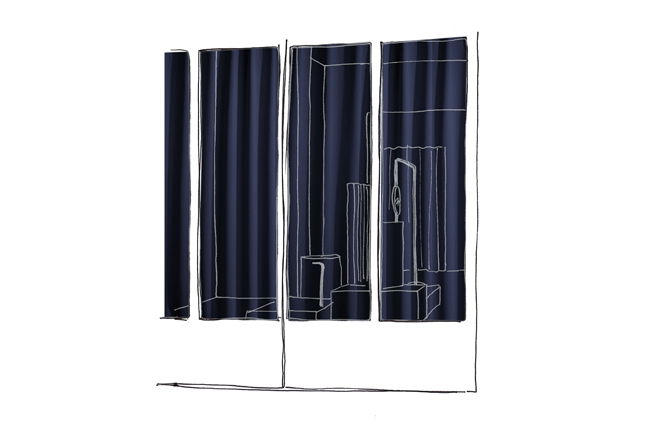 At IMM Cologne 2019, Richard Lampert will once again be surprising visitors with his familiar sense of humour expressed in a very special exhibition: bathed in a light grey shade, the installation focuses on a configuration of the re-edition of Herbert Hirche’s DHS 10 shelf. Also designed by the Hirche team and featuring grey leather upholstery, the 350 Chair will be another novelty at the Richard Lampert booth. 7 Januray 2019. 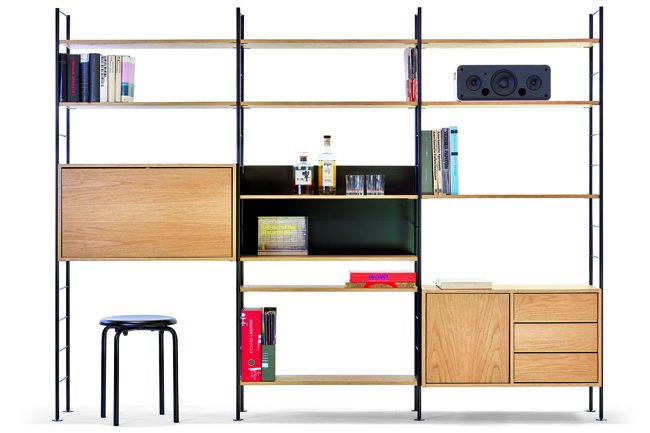 Echtstahl to once again showcase its products at IMM Cologne. Echtstahl stands for timeless and extremely versatile designs, exclusively manufactured in Germany and combining the finest traditional craftsmanship with the highest standards in material, processing and sustainability. It is within this spirit that the Pilon table (design: Geckeler Michels), the Flap mirror (design: Uli Budde) and the new Hama models were created – fuss-free furniture and home accessories, products for a fresh, pure lifestyle. 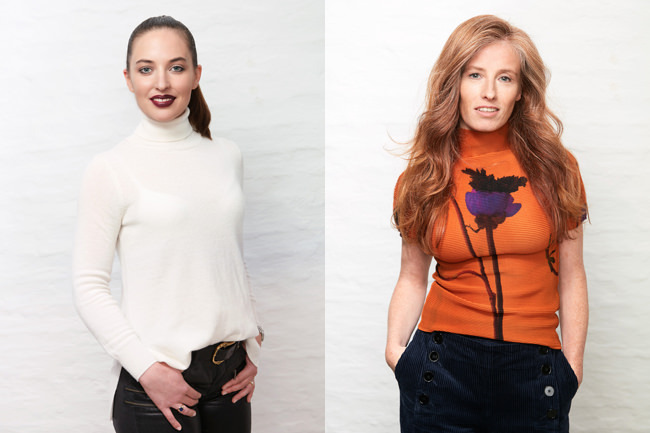 From 14 till 20 January 2019, the Bonn-based company will be presenting its latest designs to an international audience at IMM Cologne. 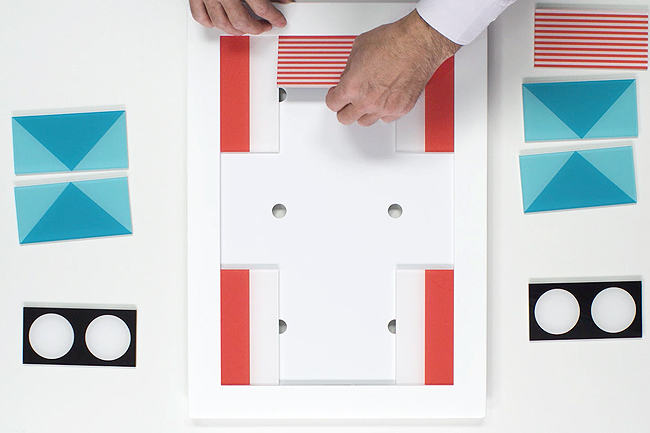 Apart from extending the Hama family, designer Mark Braun was also in charge of designing the actual exhibition stand. 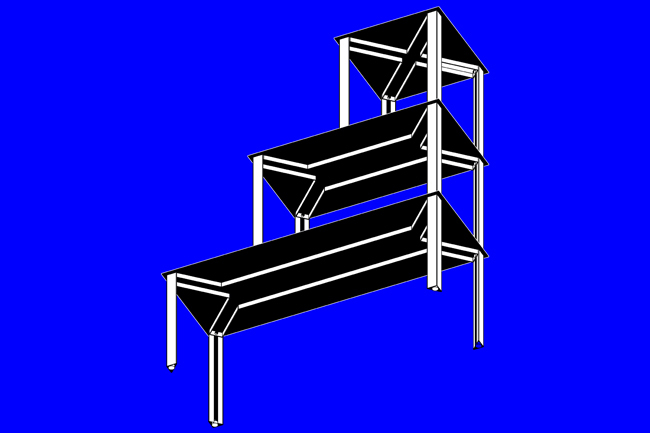 With its appearance resembling unfolded steel, the stand will provide insights into the Echtstahl product range. 7 January 2019. El Realismo Mágico – ames at the IMM Cologne 2019. 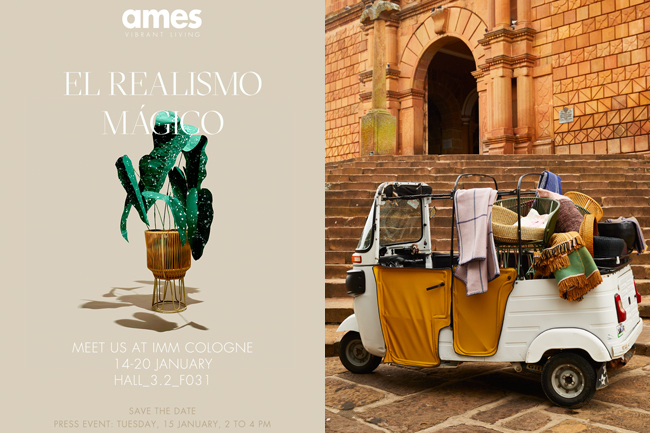 At the IMM Cologne 2019 from 14 to 20 January, ames will be focusing on magical realism. This is in Colombia’s DNA – and in Sarah Illenberger’s unique installations, which accompany ames’ appearance at the fair. 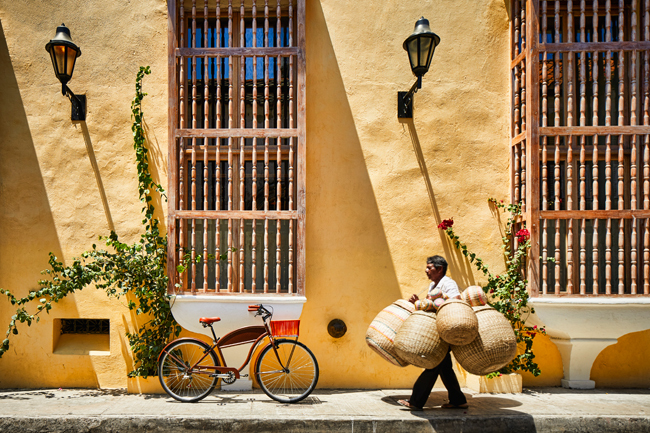 In 2019, two worlds full of vibrant colours, exquisite craftsmanship and Colombian zest for life will be interwoven. 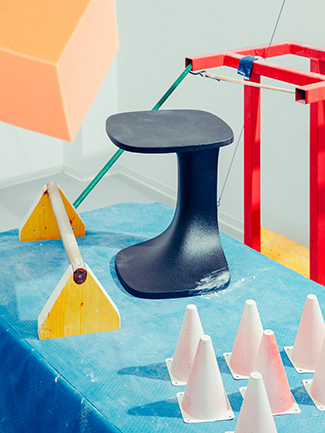 Creative support is provided by Sebastian Herkner and Pauline Deltour: at the Cologne furniture fair, the French designer’s first products celebrate their debut. 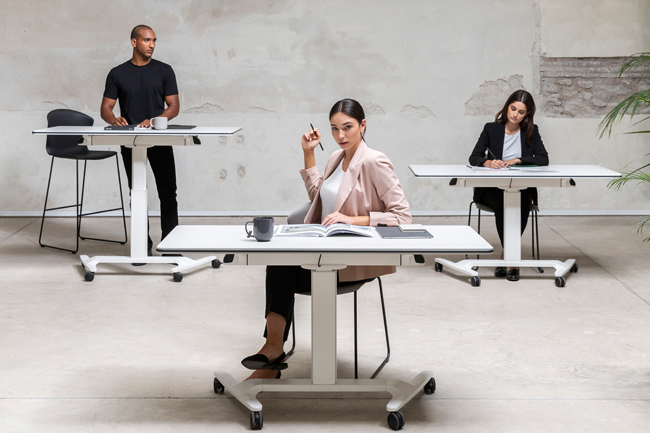 Press event: Tues, 15/01: 2 to 4 p.m.
Actiu is a company specialised in the design & manufacture of office furniture for work and contract spaces, with international presence, recognised for its sustainable environmental initiatives, as well as efficient product solutions. 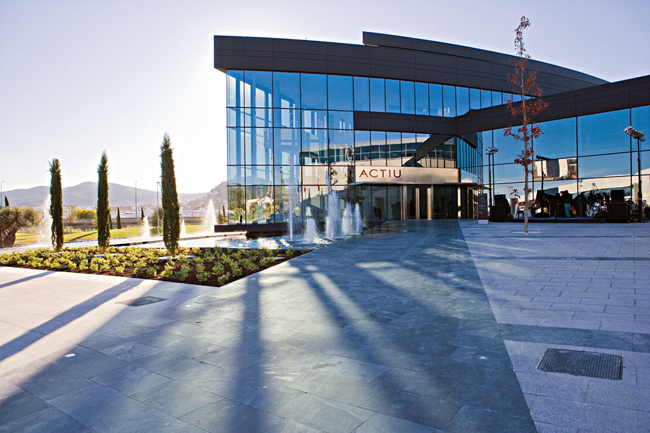 As a leading company in Europe, with headquarters in Spain, it has a global network of collaborators and distributors which covers over 90 countries. 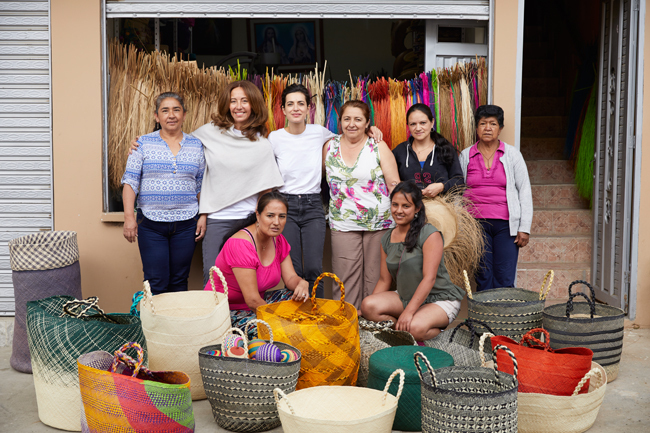 With its products, the ames company, established In 2006 by Colombian-born Ana Maria Calderón Kayser in the German Eifel region, wants to appeal to the hearts and minds of cosmopolitans. 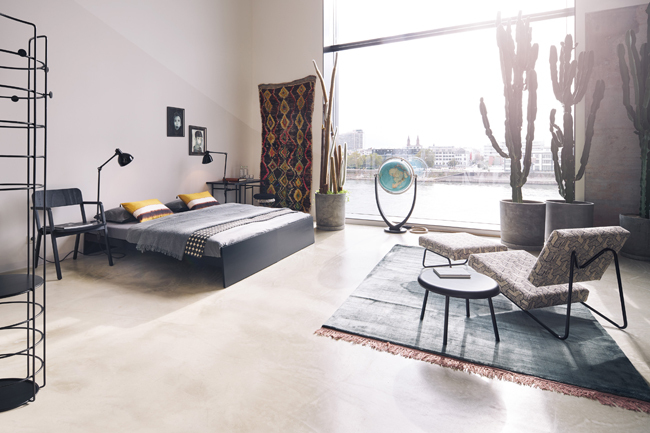 Combining Colombian joie de vivre with cool Scandinavian functionality, ames furniture and accessories are designed for modern and unconventional interior concepts. 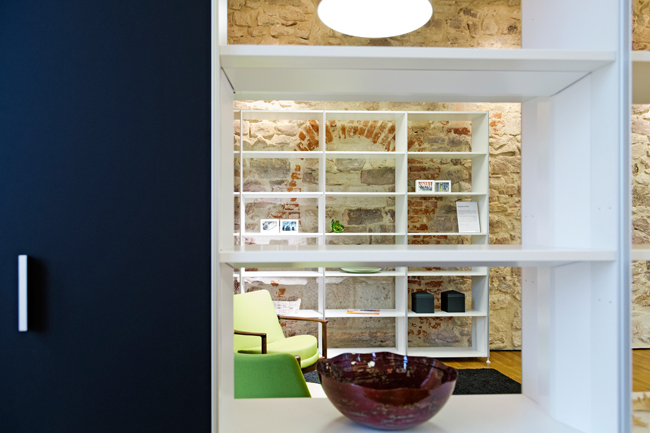 The multifunctional and versatile products are perfect for both private and contract interiors. Welcome design is the international press office for ames design. 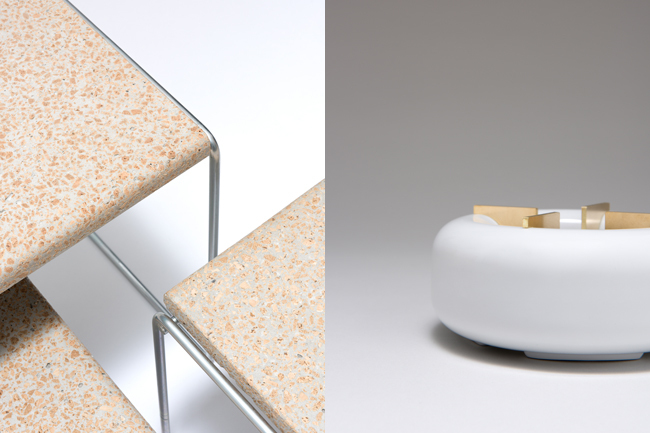 A passion for materials: Nina Ruthe founded Design Studio Niruk in 2011 and was joined by David Antonin in 2013. 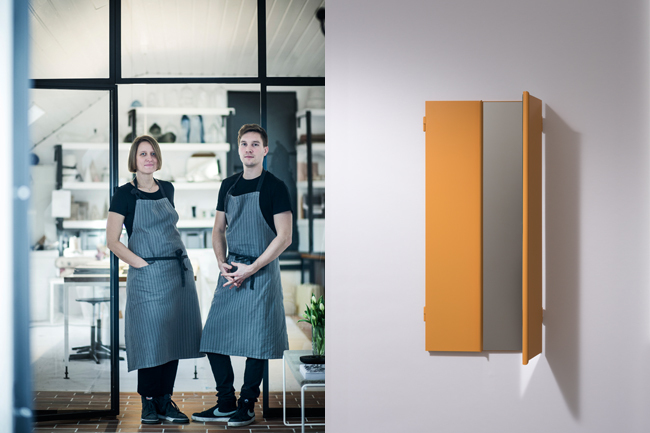 Since then, the duo has primarily focused on three-dimensional design and on experimentation, which has led to developing their own materials and product ideas, characterised by special production processes. Extraordinary light reflections, new surface textures and specific material properties are the central themes in the design studio’s »Materials Lab«. 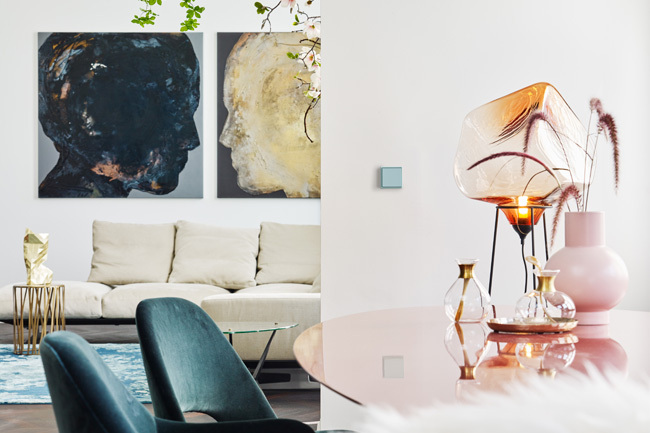 Furniture and home accessories made by Echtstahl are a modern twist on everyday objects and suitable for private homes or contract interiors. The extremely versatile designs have a timeless look and are exclusively manufactured in Germany, combining the finest traditional craftsmanship with the highest standards in material, processing and sustainability. Steel, a recyclable material, forms the basis for all Echtstahl products. 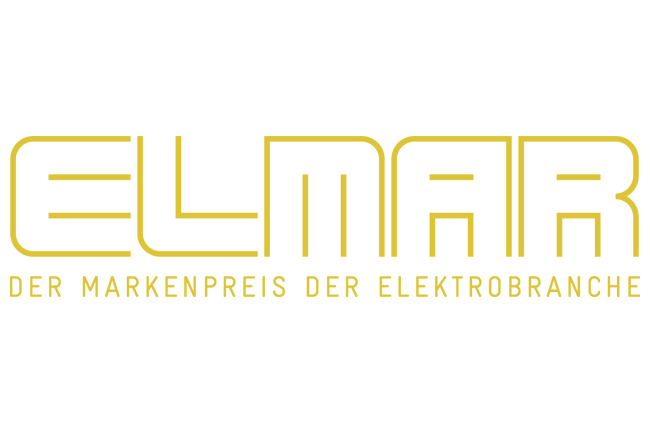 Since 2008, the annual Elmar industry prize recognises the best among the 17 largest manufacturers in the German electrical sector. 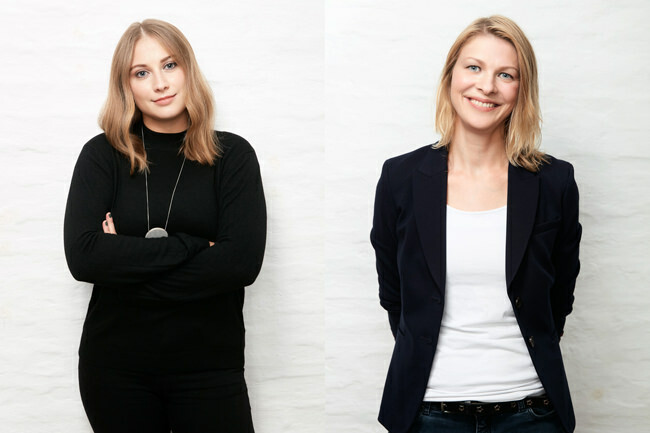 Their combined brand power is represented in the »Elektromarken. Starke Partner« initiative. 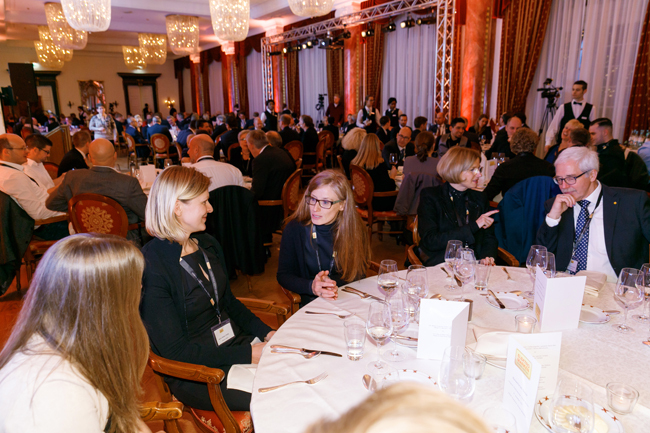 With the ELMAR award, the initiative recognises those companies who have shown distinctive brand awareness. Jung is a premium provider of cutting-edge building technology. 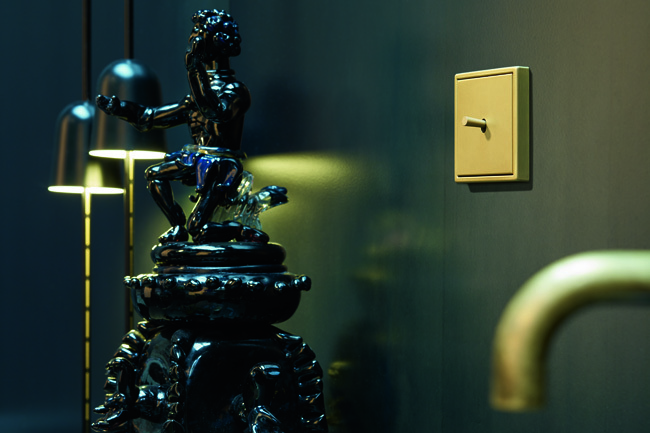 The medium-sized traditional firm’s portfolio includes switches, wall sockets, dimmers, observers and systems for regulating functions in private homes and public buildings. Founded in 1912, the motivation behind the company’s products has not changed in over 100 years: Jung adopts a pioneering approach to developing classic products and future-oriented solutions. 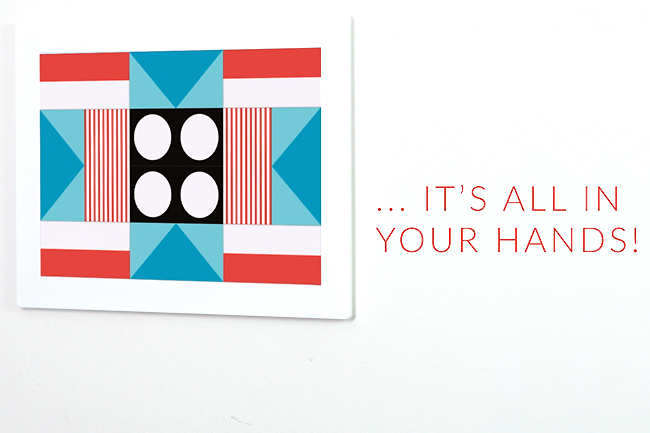 In 1994 young jazz and design loving entrepreneurs from Friaul (Italien) founded Kristalia. For twenty years now the company manufactures products, which are made of environment-sparing materials using the newest technologies and which make the grade of exceptional and timelessly beautiful design. Leolux is a dynamic family business with a long history and a keen vision on design and the future. 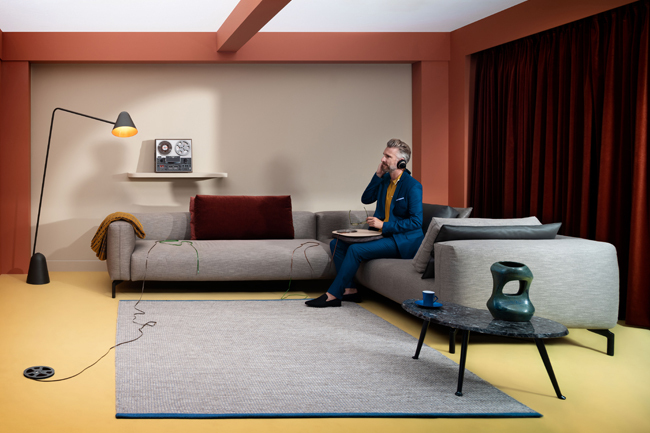 Leolux has been producing all its furniture in Venlo since 1934.
mimicri. Bags, fashion, and accessories. Modern and special. 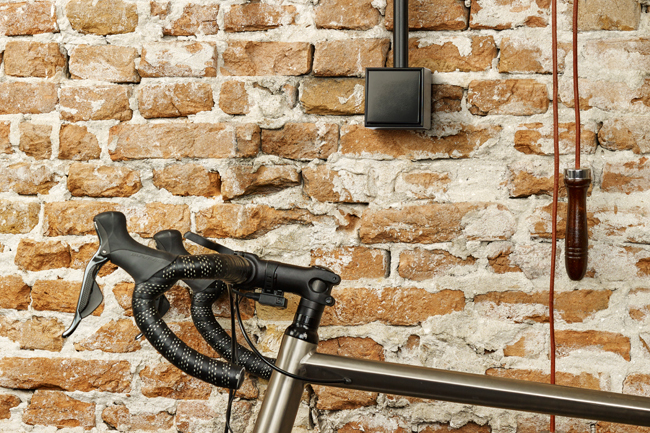 Everyday companions of an unmistakable design that surprise users with their look, feel, form, and materiality. Everyday companions that seem new and are enigmatic. That arouse curiosity and can only be fully grapsed upon closer inspection. Products as equipment with which to discover the special aspects of each day and to encounter something new. For at home and away. That is what mimicri stands for. 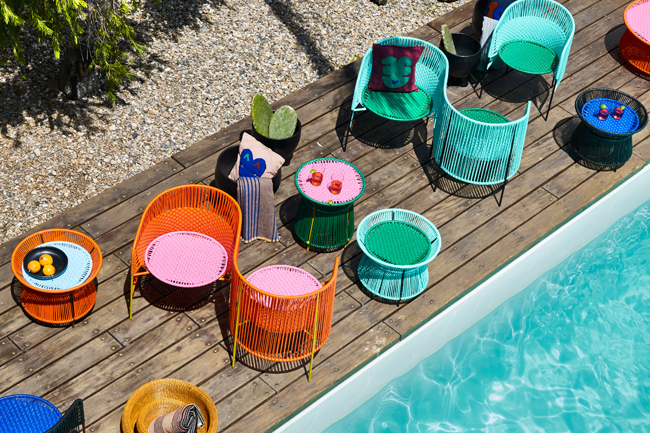 Nomono is a new interior design label with a passion for shapes, colors and perfect geometries. The company’s aim is to create products that are beautiful and versatile, but most important, that give users the freedom to experiment and explore new personalized styles. 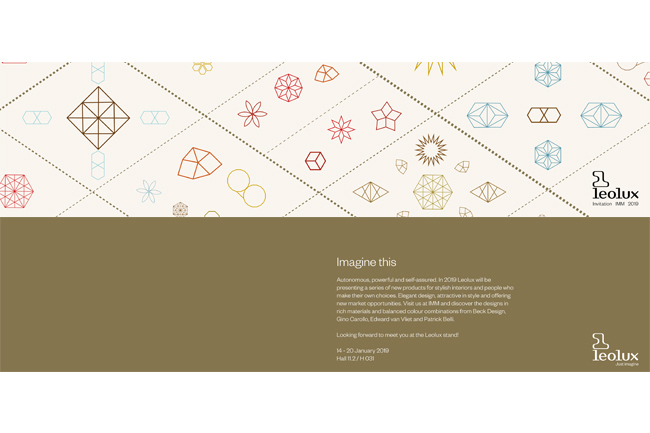 Nomono has unified these aspects by introducing a new design product called Pattwork. The dimensions of the artwork, the number of removable and replaceable elements, the colors as well as the patterns provide a framework that allows a vast number of combination resulting in personalized designs that can be changed at any time. 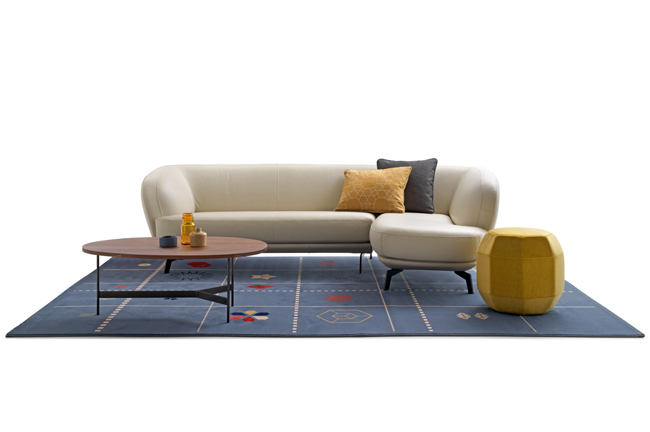 Welcome design is the European press office for Nomono and also supports the company in its communication and design strategy. 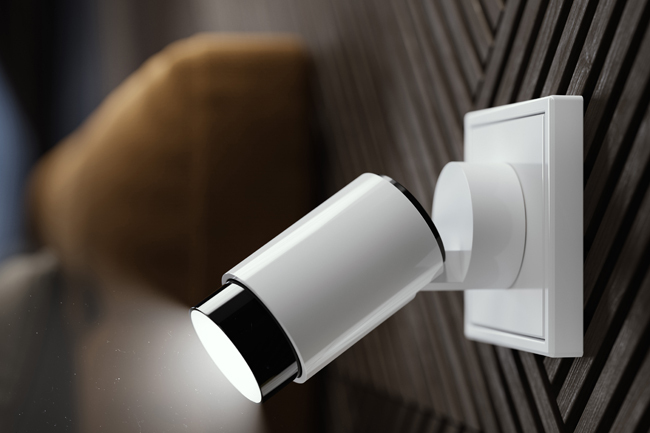 At Light + Building 2018, a true innovation in the field of light control celebrated its premiere: the Plug & Light socket is an invitation to reimagine interior lighting. Insta is the platform’s system owner, concept design by Tobias Link. As Insta’s founding companies, both Gira and Jung have integrated the technology into their switch ranges. 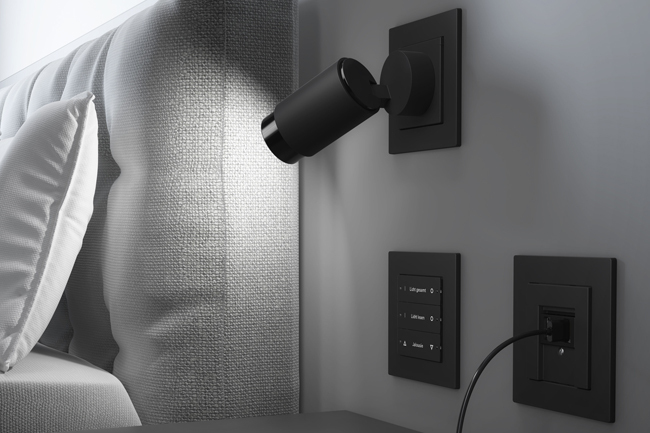 Brumberg is the first luminaire manufacturer to showcase 15 matching Plug & Light products. 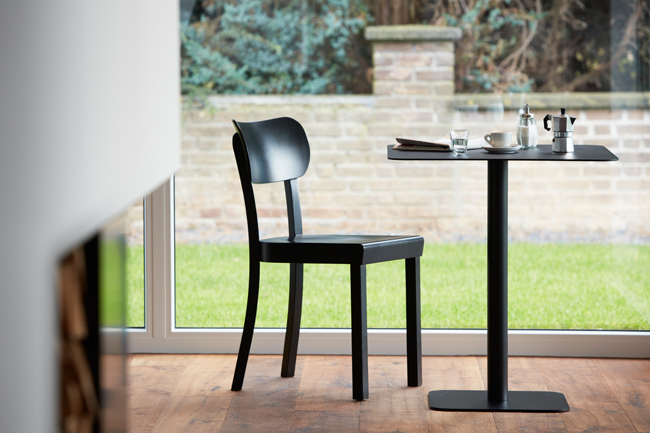 Pode is a true top Dutch design that is finding its way to enthusiastic customers throughout Europe. Surprising, fresh and colourful. A complete lifestyle collection that you can use to furnish the entire living room. 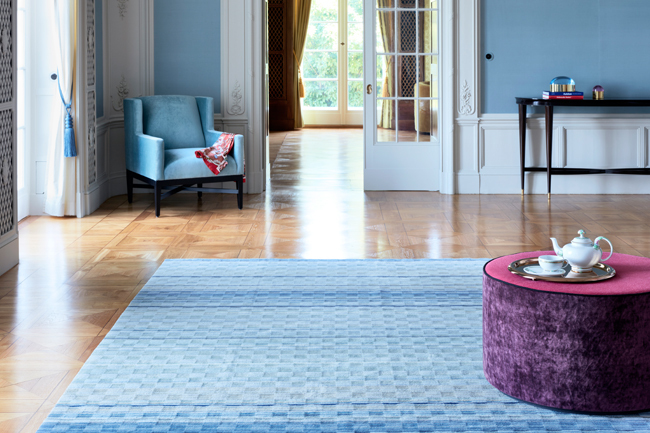 Reuber Henning rugs embody everything a rug should be, forming the centre of the room, the hearth of the modern home, providing warmth and protection. It is made to live on, play on, rest on and to be passed on to the next generation. 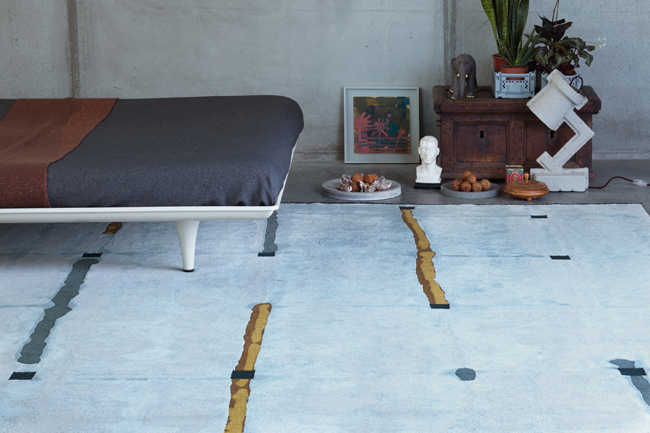 Rugs of Reuber Henning are modern, but not trendy, establishing their own style rather than following short-lived trends, timeless, yet matching the spirit of the times. Produced with the greatest care in Nepal, making use of age-old Tibetan techniques. In 1993, Richard Lampert founded his company with the aim of industrially producing furniture and other consumer products that would merge superior craftsmanship, outstanding design and sustainability. 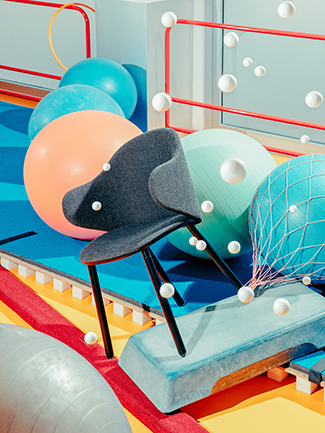 Since then, the company has produced timeless products, ranging from classic pieces like the original Eiermann table frame or Herbert Hirche’s H57 lounge chair to modern design icons and innovative, often unconventional, designs based on the principle: »As little as possible, as much as necessary«. 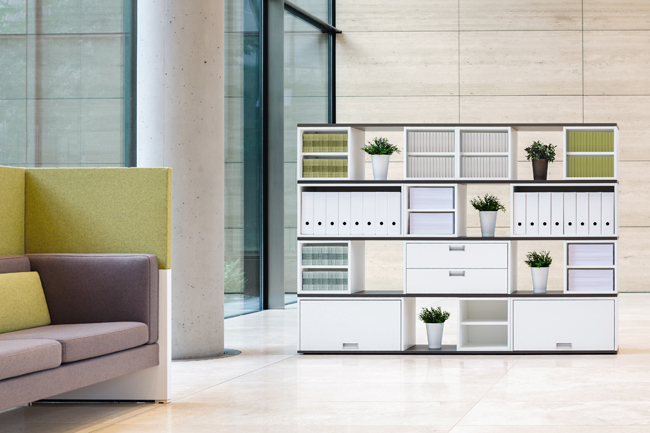 Vario BüroEinrichtungen manufactures premium office desk systems, meeting and conference tables, lockers, container, caddies and room divider systems. Vario is a medium-sized enterprise, founded in the Taunus area in 1872. 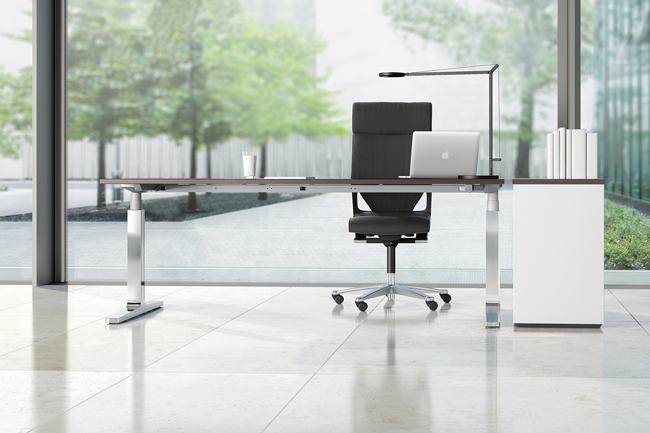 Today, Vario is one of the leading and most innovative manufacturers of office furniture. All Vario products get developed and produced at the company’s base in Liederbach am Taunus. 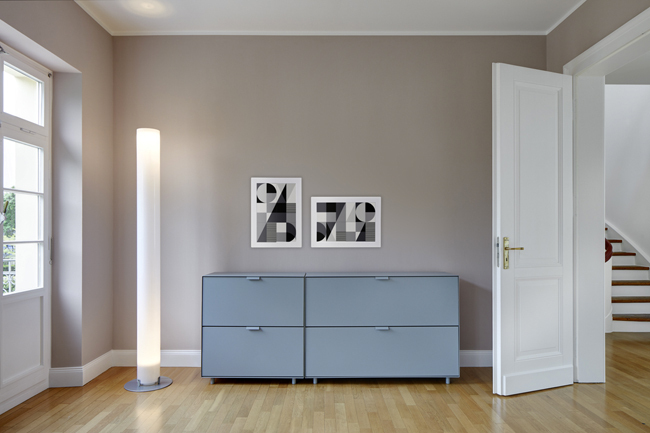 Welcome design is Vario's press office for the German-speaking markets (Germany, Austria and Switzerland). 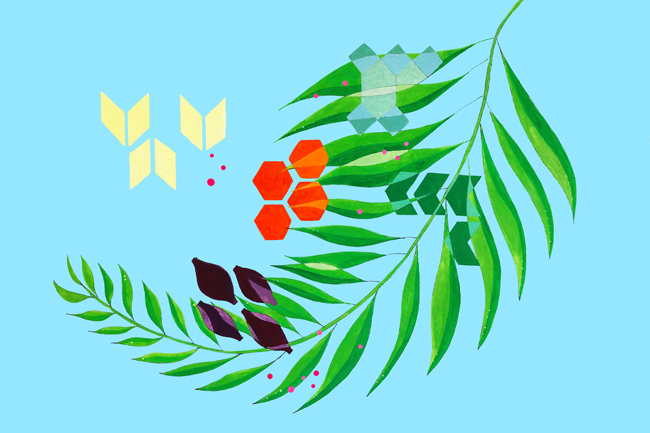 Interested in working with welcome design? Are you a journalist? Would you like to receive further information on one of our clients? You may find the download area for members of the press here. Die Inhalte dieser Website wurden mit größter Sorgfalt erstellt und werden regelmäßig aktualisiert. Jedoch übernimmt welcome design für die Richtigkeit, Vollständigkeit und Aktualität der Inhalte keine Gewähr. Das gilt insbesondere für alle enthaltenen Links, die zu externen Webseiten Dritter führen. 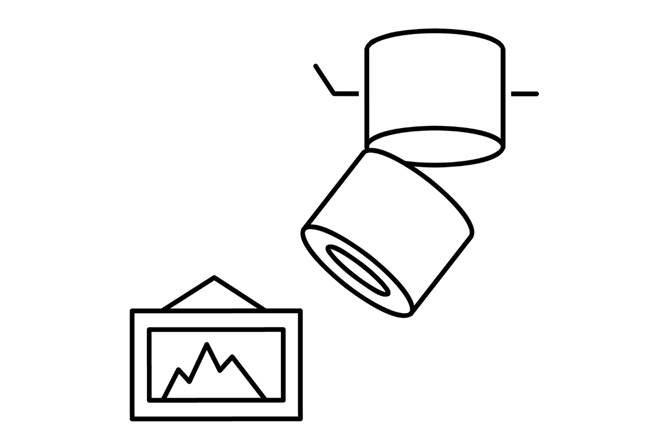 Alle auf der Website veröffentlichten Inhalte, Fotos und Grafiken sind urheberrechtlich geschützt. Reproduktionen aller Art bedürfen der schriftlichen Genehmigung durch welcome design. PR | Communication. © welcome design. PR | Communication, Sieglarer Straße 96, 53842 Troisdorf/Deutschland. Alle Rechte vorbehalten. Die Nutzung unserer Webseite ist in der Regel ohne die Angabe von personenbezogenen Daten möglich. Soweit personenbezogene Daten beim Besuch unserer Webseiten erhoben werden, verarbeiten wir diese ausschließlich nach Maßgabe der geltenden Datenschutzgrundverordnung (EU-DS-GVO) und des geltenden Bundesdatenschutzgesetzes (BDSG), sowie des geltenden Telemediengesetzes (TMG). Die Verarbeitung von personenbezogenen Daten findet ausschließlich nach Maßgabe dieser Datenschutzerklärung statt. Diese Datenschutzerklärung gilt für die Nutzung der Webseite unter der Adresse www.welcomedesign-pr.com. Für verlinkte Inhalte anderer Anbieter ist die auf der verlinkten Webseite hinterlegte Datenschutzerklärung maßgeblich. Wir weisen darauf hin, dass im Rahmen der Datenübertragung mittels Internet Sicherheitslücken auftreten können, die sich auch nicht durch die technische Gestaltung dieser Webseite verhindern lassen. Ein lückenloser Schutz von personenbezogenen Daten ist bei der Nutzung des Internet nicht möglich. Ungeachtet dessen treffen wir organisatorische, vertragliche und technische Sicherheitsmaßnahmen entsprechend dem Stand der Technik, um sicherzustellen, dass die Vorschriften der Datenschutzgesetze eingehalten werden und um damit die durch uns verarbeiteten Daten gegen zufällige oder vorsätzliche Manipulationen, Verlust, Zerstörung oder gegen den Zugriff unberechtigter Personen zu schützen. Zu den Sicherheitsmaßnahmen gehört insbesondere die verschlüsselte Übertragung von Daten zwischen Ihrem Browser und unserem Server. (3) ggf. die Erfüllung einer rechtlichen Verpflichtung (lit. b). (4) Soweit die Datenerhebung auf berechtigtem Interesse unseres Unternehmens beruht (lit. f), ist im Rahmen des einzelnen Verfahrens gesondert darauf verwiesen. Sie können der Verwendung von Cookies durch die Voreinstellungen Ihres Browsers widersprechen und das Setzen von Cookies so verhindern. Wir weisen darauf hin, dass die Nutzung einzelner Funktionen unserer Webseite dann unter Umständen nicht möglich ist. Auf unserer Webseite besteht die Möglichkeit, uns per E-Mail / Kontaktformular zu kontaktieren. In diesem Zusammenhang werden personenbezogene Daten von Ihnen zum Zwecke der Kommunikation gespeichert und verarbeitet. Die zu diesem Zweck erhobenen Daten (Name, Vorname, E-Mail-Adresse) werden nicht an Dritte weitergegeben. Eine Zusammenführung der Daten mit anderen auf dieser Webseite erhobenen Daten findet nicht statt. Grundlage der Datenerhebung gem. Art.6 Abs. 1 S. 1 DS-GVO sind: die von Ihnen ggf. erteilte Einwilligung (lit. a); ggf. die Verarbeitung der Informationen zur Erfüllung eines Vertrages oder der Vertragsanbahnung (lit. b), ggf. die Erfüllung einer rechtlichen Verpflichtung (lit. b) sowie das berechtigte Interesse unseres Unternehmens an der von Ihnen eingeleiteten Kommunikation (lit. f). Die Daten werden gelöscht, sobald der Zweck der Kommunikation erreicht wurde. Auf unserer Webseite haben Pressemitglieder die Möglichkeit, sich Inhalte (Pressematerialien) selbst downzuloaden. Für die Anmeldung sind die Angaben Name, Vorname, E-Mail-Adresse und Passwort erforderlich; diese werden entsprechend verarbeitet, das Passwort nur verschlüsselt. Die Daten werden nicht an Dritte weitergegeben. Ihnen stehen die unten genannten Rechte zu. Diese können Sie uns gegenüber geltend machen. Zur Geltendmachung nutzen Sie bitte die oben genannten Daten oder per E-Mail an: welcome@welcomedesign-pr.com. Ihnen steht ein Recht auf Auskunft darüber zu, ob wir personenbezogene Daten über Sie verarbeiten, zu welchen Zwecken wir die Daten verarbeiten, welche Kategorien von personenbezogenen Daten über Sie wir verarbeiten, an wen die Daten ggf. 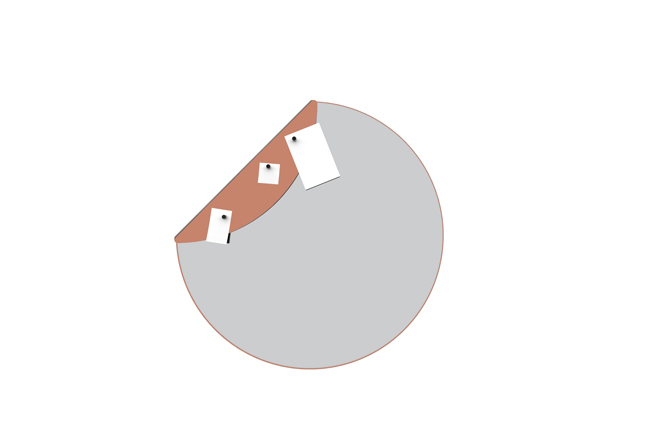 weitergeleitet wurden, wie lange die Daten ggf. gespeichert werden und welche Rechte Ihnen zustehen. Sie haben das Recht unzutreffende und Sie betreffende personenbezogene Daten, die bei uns gespeichert werden berichtigen zu lassen. Ebenso haben Sie das Recht, einen bei uns gespeicherten unvollständigen Datensatz von uns ergänzen zu lassen. (6) Sie der Verarbeitung widersprochen haben und auf unserer Seite keine vorrangigen berechtigten Gründe für die Verarbeitung bestehen. (1) Sofern Sie die Richtigkeit der personenbezogenen Daten für die Dauer unserer Prüfung bestreiten. Sofern Sie uns gegenüber in die Verarbeitung von personenbezogenen Daten eingewilligt haben, können Sie die Einwilligung jederzeit widerrufen. Bitte richten Sie ihren Widerruf an die oben angegebenen Daten oder per Mail an: welcome@welcomedesign-pr.com. Sie haben das Recht, sich mit einer datenschutzrechtlichen Beschwerde an die Aufsichtsbehörden zu wenden. Die für uns zuständige Aufsichtsbehörde: Landesbeauftragte für Datenschutz und Informationsfreiheit Nordrhein-Westfalen. Die Beschwerde kann unabhängig von der Zuständigkeit bei jeder Aufsichtsbehörde erhoben werden.